Rev. Eric Allan Kleinschmidt was installed as the Sole Pastor of Redeemer Lutheran Church on December 11, 2011. Previously Pastor Kleinschmidt had been called on April 24, 2007 to serve as Associate Pastor of the congregation and was installed on July 8, 2007 by the Rev. Arthur R. Burkman. 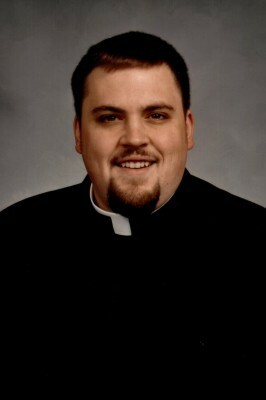 He had also served as Redeemer’s 20th Vicar in 2005-2006. He was ordained on June 24th, 2007 by the Rev. Alden J. Beversdorf at St. John Lutheran Church in Merrill, Wisconsin. Pastor Kleinschmidt lives in Dyer with his wife Meghan. 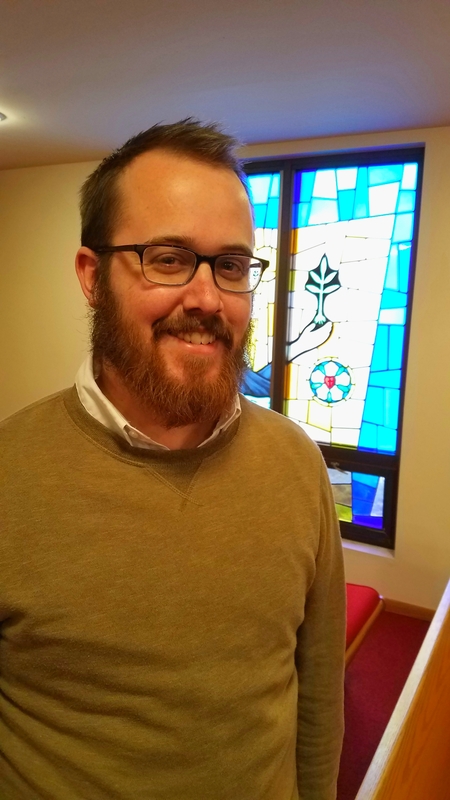 He hopes to enjoy a long, fruitful ministry serving the people of God at Redeemer Lutheran Church and in the surrounding communities. Michael was born in Appleton, Wisconsin in 1993. He attended public school through 2nd Grade and then was homeschooled through high school. During his homeschool education, Michael was able to focus on extracurricular activities and his school work. The activities that had the most significant impact on Michael was the Boy Scouts of America, where he earned the Eagle Scout rank (2010) with Silver Palm (2012), and martial arts, where he attained the rank of 3rd Degree Black Belt (2011) and continues to train when and where he can as he has 17 years of training under his belt (pun not intended). He graduated from high school in 2012 and earned his undergraduate degree from Concordia University Wisconsin (Go Falcons!) in Pre-Seminary Studies with a minor in Theological Languages. He graduated from CUW in 2016. Michael’s parents are Nancy and Robert (Bob) Bekx. Nancy is now retired but was a high school Social Studies teacher for 6 years before going to Law School where she earned her Juris Doctorate with an emphasis in 4th Amendment law. She taught Law at the local technical college in Appleton for 20 years before going to part time teaching online in order to homeschool Michael and his younger sister, Abigail. Bob owned his own business for a few years before going back to college for Law Enforcement where he worked as a Sheriff’s Deputy for 30 years before retiring this last April. He retired as a SSgt. He spent 6 years on SWAT, ran the boat patrol for many years, and spent the last 6 years running CJU (Criminal Justice Unit). Michael’s younger sister Abigail is a Senior this Spring at Concordia University Wisconsin and will graduate with a degree in English in May 2018. She will then take the year off in order to study for the GRE test and will then continue her education. Michael enjoys outdoor activities such as camping, hiking, biking, and airsoft. He also enjoys reading theology and historical fiction, genealogy research, and the study of Asian medieval and feudal weapons, specifically Japanese and Chinese. A few of his favorite authors are Martin Luther, Chemnitz, JRR Tolkien, Anthony Riches, Rosemary Sutcliff, Allen French, and GA Henty. 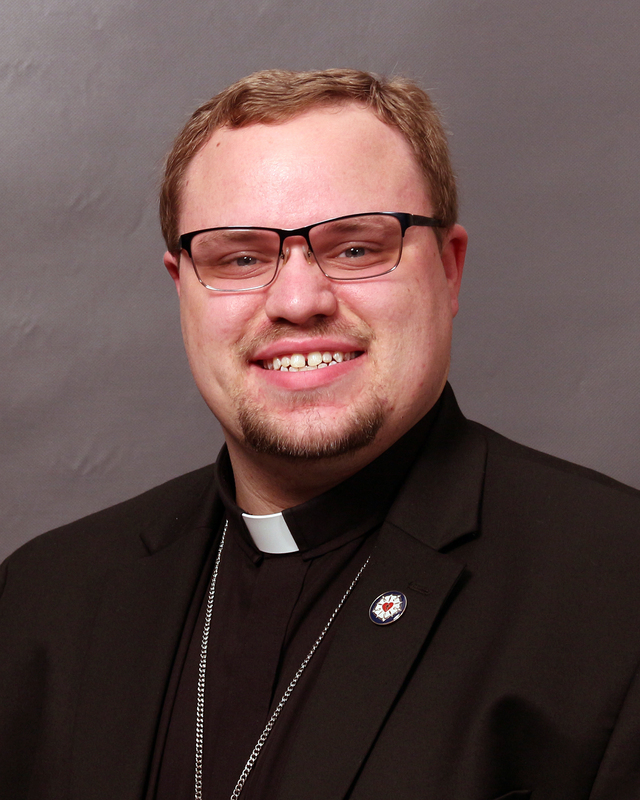 Redeemer congregation also sends our prayers, and wishes Godspeed to our 2017-2018 Vicar: Steven Braun as he completes his course of study at Concordia Theological Seminary and awaits his call into the Holy Ministry. 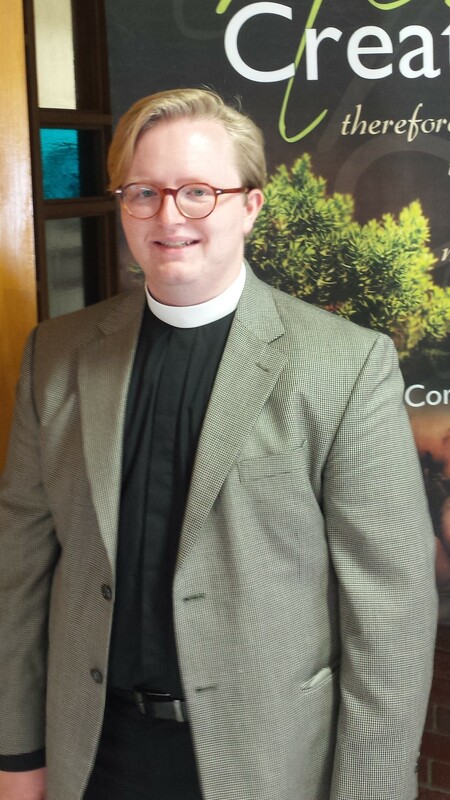 Redeemer congregation also sends our prayers, and wishes Godspeed to our 2016-2017 Vicar: Wade Bellesbach as he continues his education at the University of St. Andrews, Scotland, pursuing a M.Litt. (Masters) in Theology and the Arts.